Sirens is out on January 12th and you can get a copy by clicking HERE. I’ve read a lot of books, especially crime, so I’d like to think I can spot a good one. 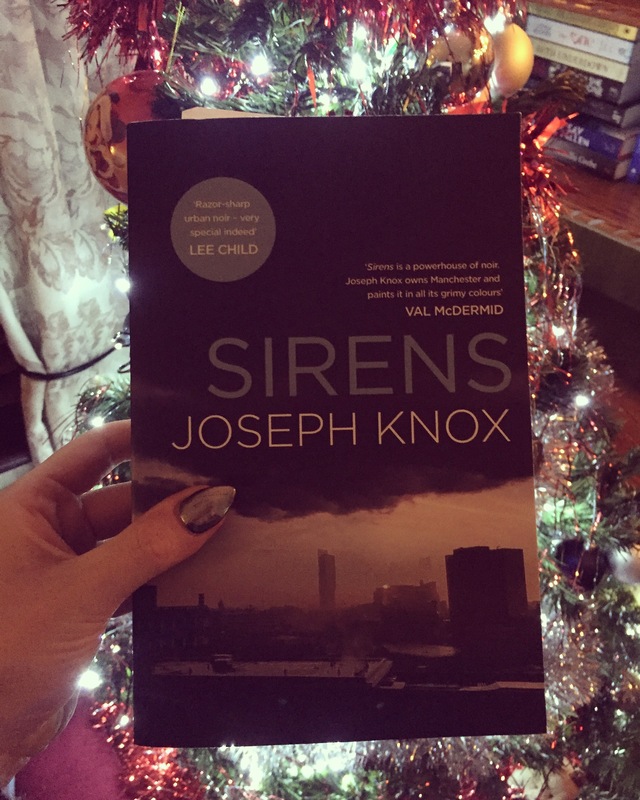 Sirens is one of those books that don’t come round very often. It is gripping, haunting and so deliciously dark that you just wont be able to put it down. I think it is so completely brilliant that I would be surprised if it doesn’t do exceedingly well upon its release in the coming week. Sirens, as far as titles go, is so apt for this book. Referring, in this case, to those women who lure you in and you’re caught before you even realise it. DC Aidan Waits, for all intents and purposes, answers the sirens call. This decision leads the disgraced detective further down the rabbit hole, and what follows is a truly gut-wrenching story that affects more than just his life and future. Called in to investigate the disappearance of Isabelle Rossiter, Waits ends up on a journey painted so vividly by Knox’s words, that the reader is essentially there with him. Emotive, disturbing but ultimately an absorbing and excellent read. I couldn’t see how Sirens was going to go, but I know I didn’t want it to end. Watch out for this one. You won’t be sorry. I had seen Pendulum pop up on social media weeks ago, and that cover really caught my eye so when there was a proof up for grabs I immediately asked if I could red and review and I am SO glad I did!!! Pendulum is a high octane game of cat and mouse, stretching from the UK to the USA and back again. This transatlantic book is one of the most interesting crime novels I have had the pleasure of reading lately. I may sound like a weirdo, but I loved the antagonist! The way Adam Hamdy has written the killer makes it possible to visualise them completely, and I have to say, if this was a movie it would be AMAZING to see the killer on screen!